One of the joys of being back in the States is Tuesday Morning. I love that store. And they even sell some yarn, albeit never enough to do more than a hat, but it’s yarn nonetheless. So, the other day during my daily pilgrimage to Tuesday Morning I came across the most fabulous sheep cards. 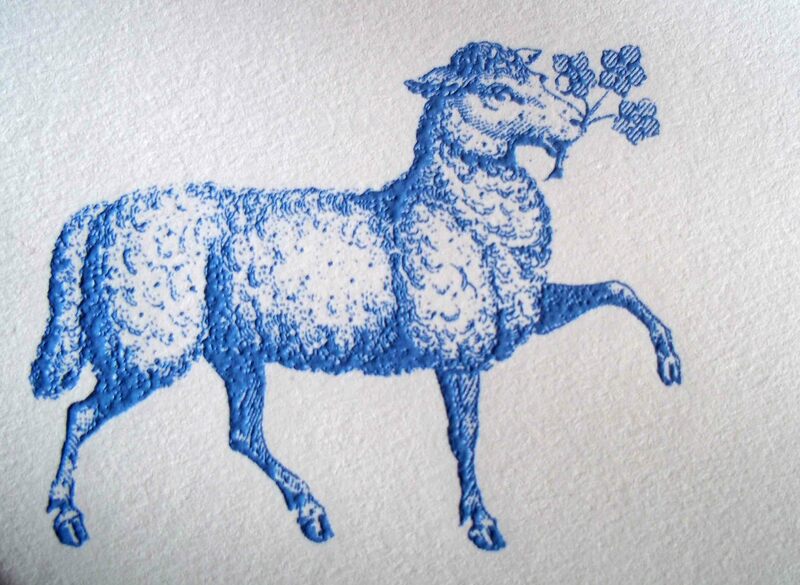 Simple in design a single sheep bearing flowers in its mouth prances across the page in all its embossed blue sheepy glory. It was love. And who wouldn’t want a card full of sheepy cheer? As an added bonus, anyone who received such a card from me would know I held them in high esteem. Two have been sent so far, and the remaining five will only be bequeathed to those deemed worthy. Don’t get me wrong, I don’t want to start collecting sheep. * Nor do I want a ton of sheep related items. Sheep key chain. Sheep magnets. Sheep coffee mug….wait I do have on of those. The evidence is mounting against me. I’m just saying, if people want to get me sheep related items, let it be wool yarn. Merino is always nice. Hint. Hint. However, occasionally some sheep item is so fabulous it sings to me and I must have it! *Disclaimer: If you do collect sheep, I do not judge. Sheep are adorable and fluffy. And really hard to pet. No matter how hard you try to look like a sheep and baa like a sheep, they still won’t let you get close enough to pet them. No, I don’t care to elaborate on how I know. Let’s just say it involved a pasture in Wales.